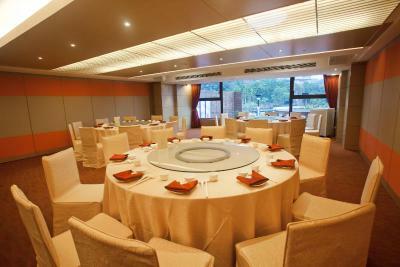 Lock in a great price for Sun Moon Lake Hotel – rated 8.4 by recent guests! 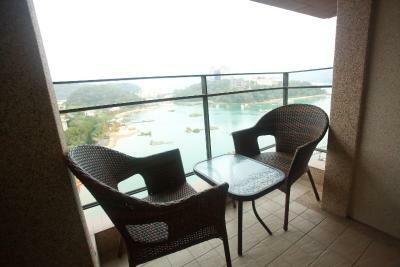 On the internet, it showed us the room with a lake view.. but after reaching there, we were given the mountain view room. 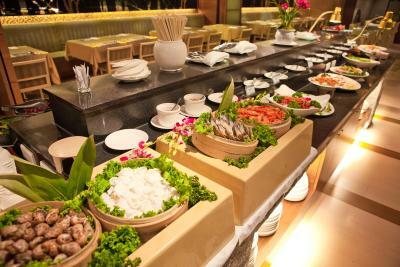 The Chinese style breakfast and dinner. Healthful. The room is nice, view of the lake is great for photos. 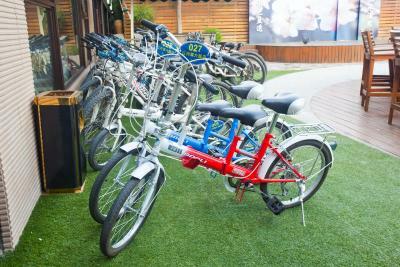 The availability of the bikes for guests was very considerate. The shuttle service to tourists center makes it easy for us to move around. 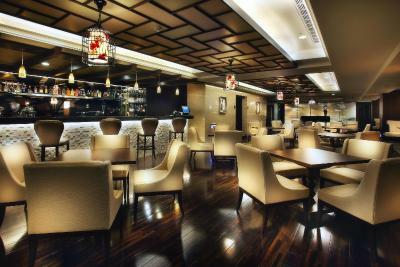 Staff was helpful and gave us extra tips when we enquire on the mode of access to places. 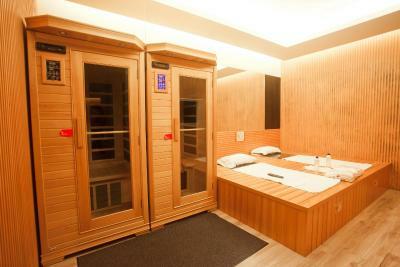 The mini onsen in the room, responsive reception and good pick up service from the sui se tourist information center. The hotel is clean and comfortable. The breakfast is excellent. The dinner was nice too. We enjoyed the bike ride around the lake near the hotel as the hotel provides the bicycles to their guests free of charge for 1 hour each time. 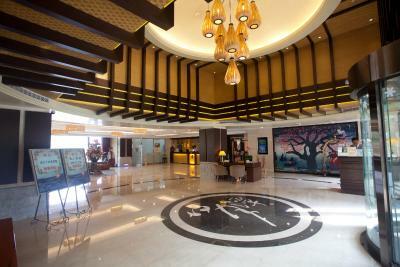 The staff is friendly, especially the drivers of hotel shuttle bus who transferred us in and out of the hotel. 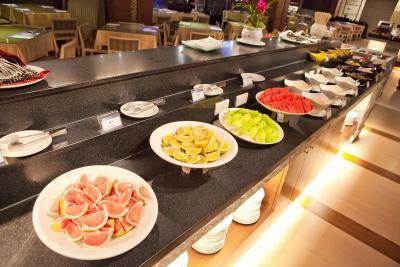 We loved the modern décor and the breakfast buffet was over the top! We ate so well we hardly needed lunch. 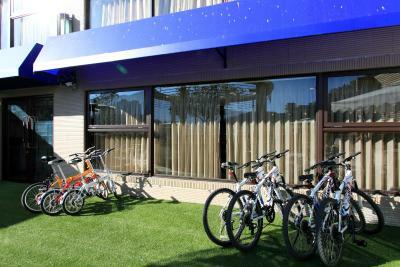 We signed out bicycles and took a leisurely tour along the lakeside bikeway that passes right by the hotel. 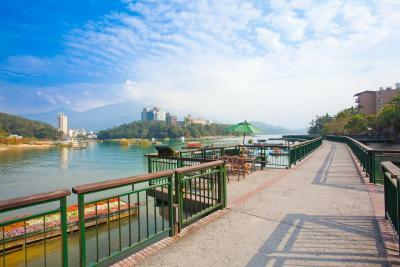 We wanted to stay in Sun Moon Lake until late afternoon and were able to leave our bags with the concierge, who called us a shuttle van when we were ready to return to the bus station. I highly recommend this hotel. 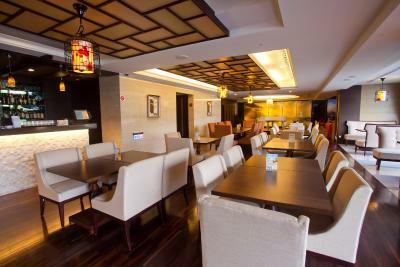 The location is not in the main part of the lake but still gives you an amazing view of the lake, even more beautiful at the sunrise, the windows are big and clean, lie in the bathtub and watch outside to the landscape was just a very comforting and relaxing experience, it definitely exceeded my expectations, the food was very good and the staff was kind, (except for one of the girls...but at this point i was too happy to care), the shuttle bus free service that they offered is convenient and definitely helps, although my room was in the 6 floor, the view was just as good. PS. the Japanese style living room inside the room was amazingly comfortable being me a fan of the Japanese house style. The Front Desk and Concierge staff were excellent. The room itself was beautiful with a great view of the lake. 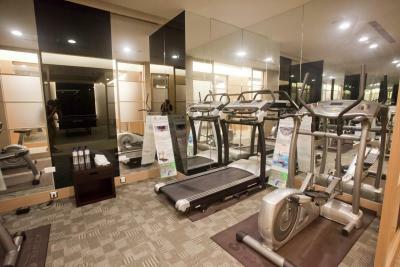 Very clean and featuring modern amenities. 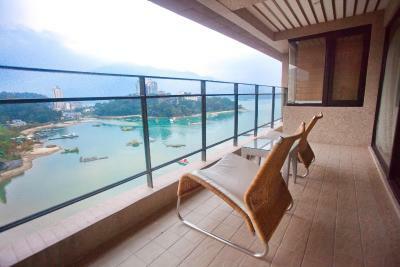 Sun Moon Lake Hotel This rating is a reflection of how the property compares to the industry standard when it comes to price, facilities and services available. It's based on a self-evaluation by the property. Use this rating to help choose your stay! 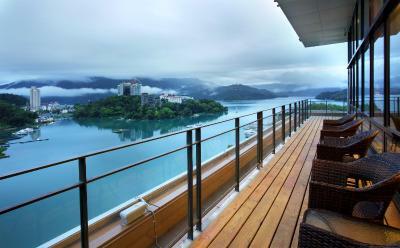 The luxurious Sun Moon Lake Hotel is a 4-star property in Yuchi Township, with beautiful views of the Sun Moon Lake. 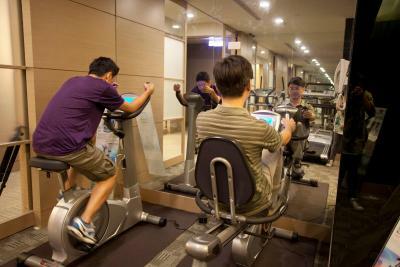 Offering free bicycle rentals and free Wi-Fi, it also has a fitness center and 24-hour front desk. 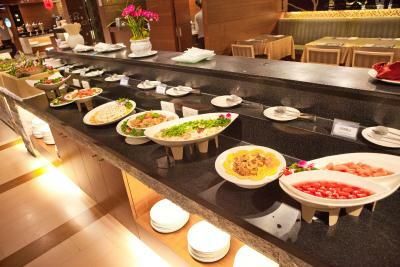 Moon Gallery Restaurant serves Asian dishes, while a daily buffet breakfast is also available. The well-decorated guestrooms all enjoy wonderful views of either the mountains or lake. 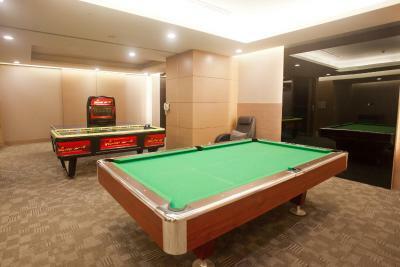 A flat-screen TV, mini-bar and personal safe are included. Private bathrooms are equipped with either a shower or a relaxing soaking tub. 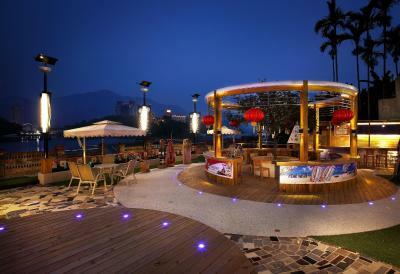 Sun Moon Lake Hotel is surrounded by scenic hiking trails and photo spots. 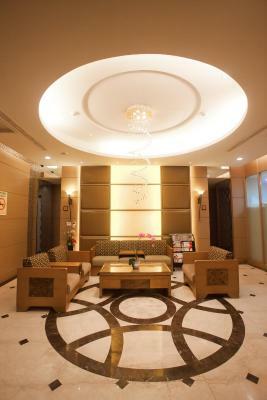 It is 58 mi from Taichung Airport and 134 mi from Taoyuan International Airport. On-site parking is free. 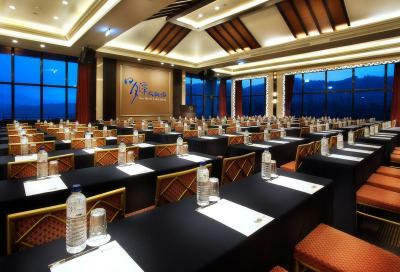 The hotel provides a business center and meeting rooms. 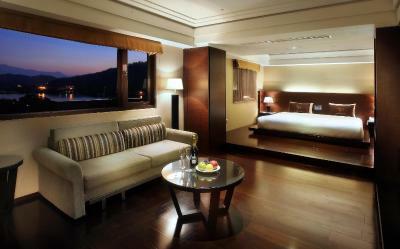 When would you like to stay at Sun Moon Lake Hotel? Enjoying mountain views, this air-conditioned guestroom comes with a flat-screen TV, mini-bar and personal safe. Private bathroom has a shower. Enjoying mountain views, this air-conditioned guestroom comes with a flat-screen TV, mini-bar and personal safe. Private bathroom has a separate shower and bathtub. Enjoying lake views, this air-conditioned guestroom comes with a flat-screen TV, mini-bar and personal safe. Private bathroom has a shower. 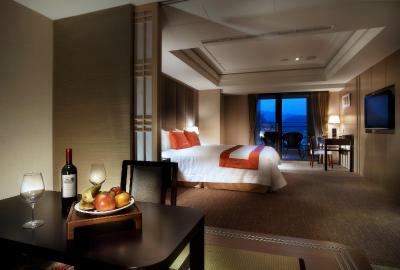 Overlooking the lake, this spacious air-conditioned suite comes with a private balcony and a separate living area. Includes a flat-screen TV, mini-bar and personal safe. Private bathroom has a shower and bathtub. 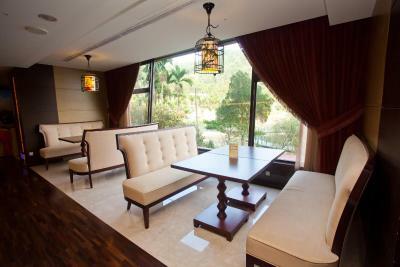 This spacious air-conditioned room has a balcony which enjoys partial lake views and full mountain views. 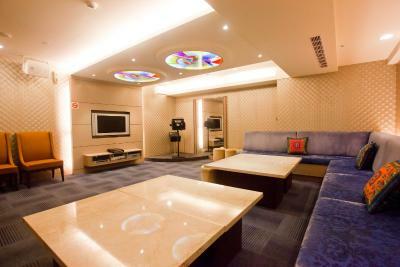 Includes a flat-screen TV, a mini-bar and a personal safe. Accommodates 4. Fitted with 2 queen-sized beds, this spacious room features lake views. 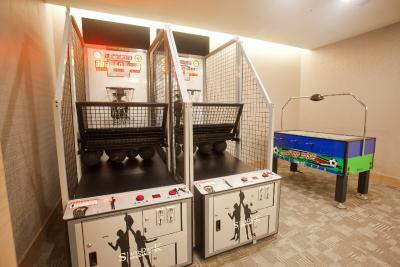 Includes a flat-screen TV, a mini-bar and a personal safe. Accommodates 4. 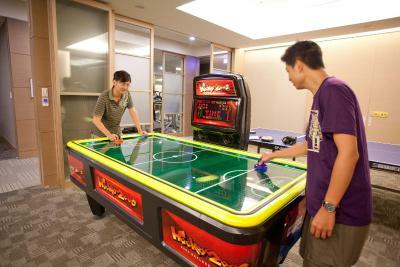 House Rules Sun Moon Lake Hotel takes special requests – add in the next step! 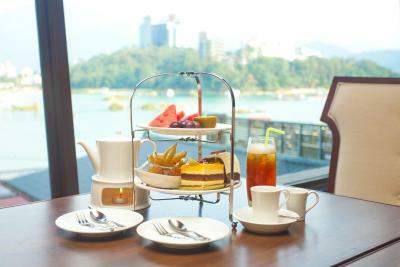 Sun Moon Lake Hotel accepts these cards and reserves the right to temporarily hold an amount prior to arrival. Please note that during Chinese New Year (7 - 11 Feb 2016), all staying guests can enjoy free parking. Each room offers 1 free parking spot. Breakfast end at 10am, which is quite early. 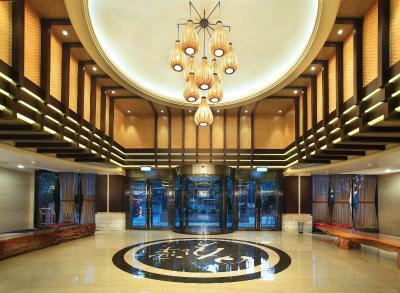 The hotel is 3 minute drive away from the bus terminal for buses coming from/going to TaiChung. 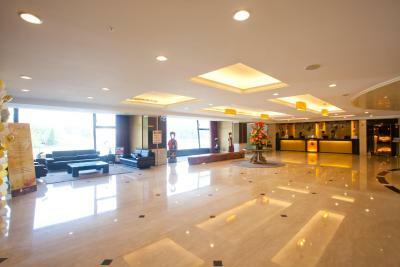 The hotel provides shuttle buses and the drivers of the shuttle bus are very friendly and helpful. But you need to call the hotel after arriving the bus terminal. Other than that, we really like the hotel. 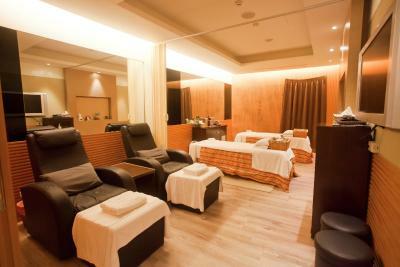 Upon reservation, I asked some specifics about the facility of the room, but the communication was not very smooth. 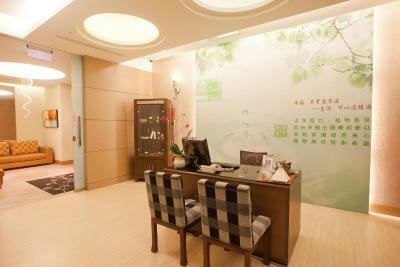 However, the hotel staffs were very agreeable on site. The electric controller is out of function. 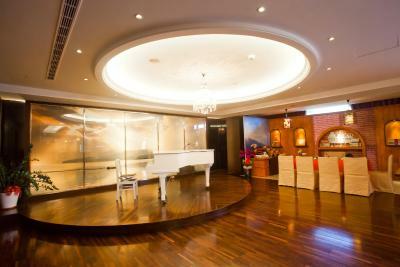 The room was so pretty and the staff is so nice!! The restaurants were AWFUL. Poorly trained and managed service staff. 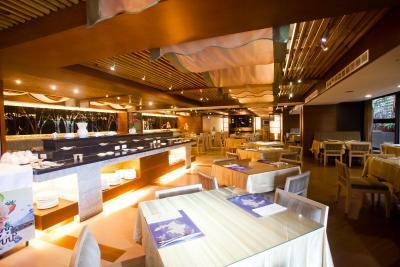 We had dinner there and the staff was more interested in chatting with each other than paying attention to us. One of the waitresses handed us utensils while touching the bowl of the spoon. Breakfast the next morning was very low quality as well, with very few western options.